Non return valve 90 mm long, suitable for 12mm push fit piping. Spring loaded. 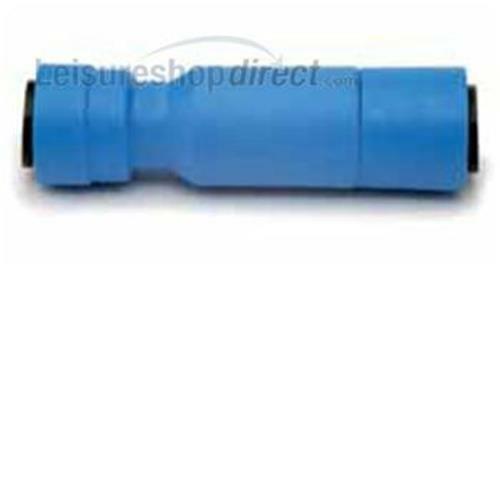 Bought to replace a faulty non return valve in my caravan- exactly the same as the original, so will be easy to fit. Fantastic range of products from this company, and easy-to-navigate website! Had trouble losing water from my caravan boiler via the feed hose. Non return valve not working. Perfect answer, this valve is sping loaded as opposed to the originl which was dependent on water presure to operate. Worked straight away, more than happywith this Truma valve. My 2007 Hymer water pump did what it says, but the attached Reich non-return valve failed causing the Truma boiler to drain down back into the tank. This is a direct replacement for the 12mm push-fit system and it means I now have a spare pump, having bought the Reich pump with integrated non-return valve as a replacement.